"Jump Around" With Under Armour & Fleet Feet Sports! Launch Party March 9, 6:30-8PM. Home › Upcoming Events › "Jump Around" With Under Armour & Fleet Feet Sports! 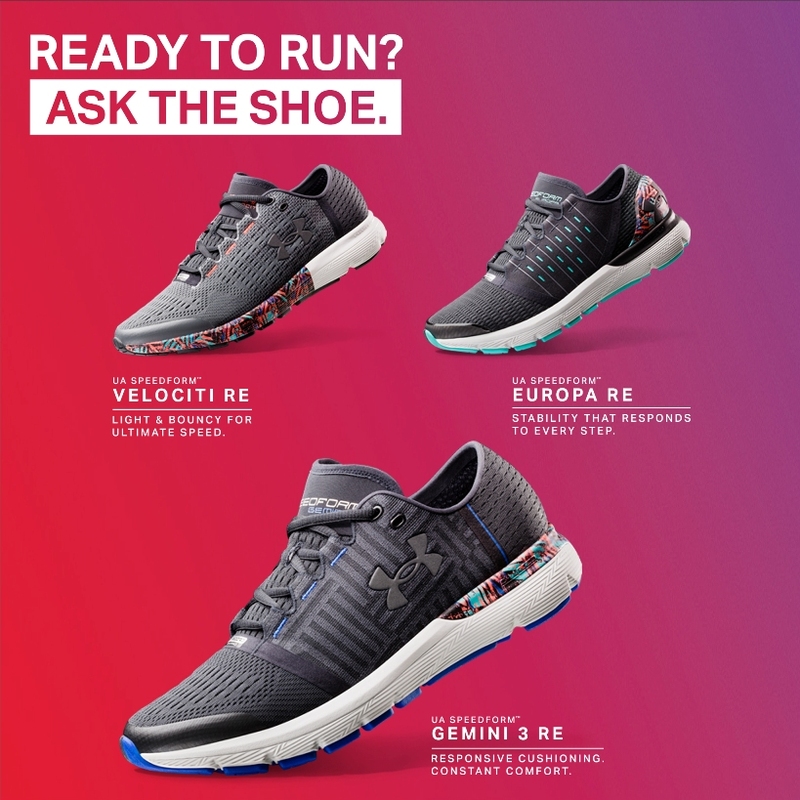 Fleet Feet Sports is your local resource for the new Record Equipped running shoes from Under Armour and we want YOU to get your feet in them and experience them for yourselves! Join us for a look at Under Armour's Spring 2017 line-up of running apparel. See regular customers just like you modeling this season's best. We'll have snacks, drinks, deals, music and more! RSVP now and be "in the know." RSVP events@fleetfeetfoxvalley.com.